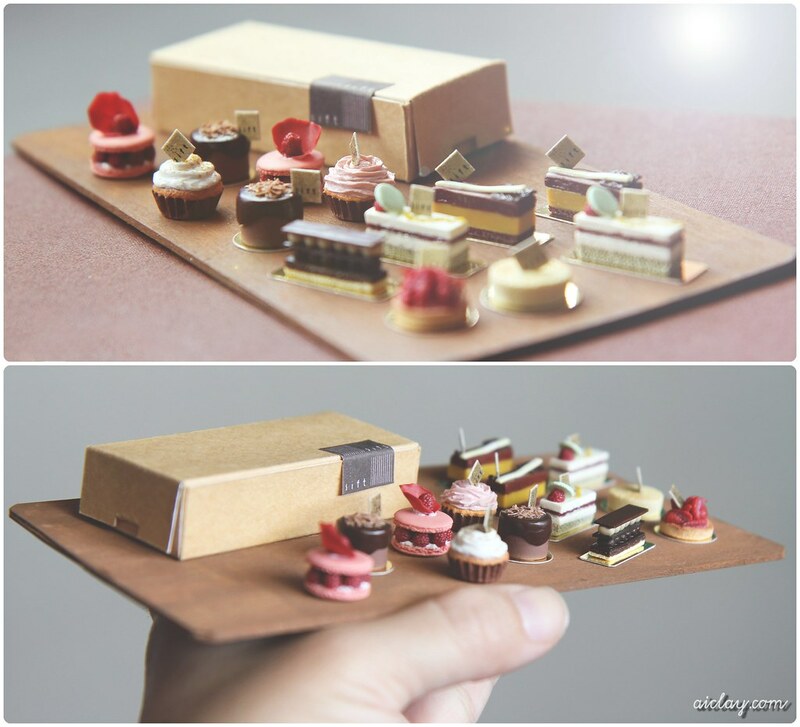 AiClay - a Haven of Miniature Food: A buffet of miniature cakes! I haven't had lunch, and my stomach is whining just looking at this photo. Miniature cakes handsculpted by me, commissioned gift set for owner of Sift Desserts. A brand new week in September, how fast is this month going by! If you would like your own spread of miniature goodies too (or you know a friend who would love it), September commissions are now open! You know where to go to for more information! Only 4 slots! Beautiful! Colorful, and unique! LOVE these little cakes!